Kriti Sanon and Kartik Aaryan's upcoming film Luka Chuppi is all set to the hit the screens on 1 March, 2019, the makers announced on Tuesday. Kartik shared the news on Twitter and wrote: "No more hide and seek Kriti Sanon. Luka Chuppi to hit the screens on March 1, 2019. Produced by Dinesh Vijan. Directed by Laxman Utekar." The actor accompanied the post with a poster from the film featuring himself with co-star Kriti Sanon. This is the first time Kriti Sanon and Kartik Aaryan have collaborated for a project. 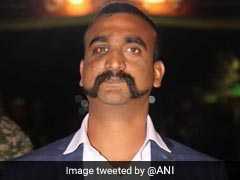 Luka Chuppi also stars Aparshakti Khurrana and Pankaj Tripathi. 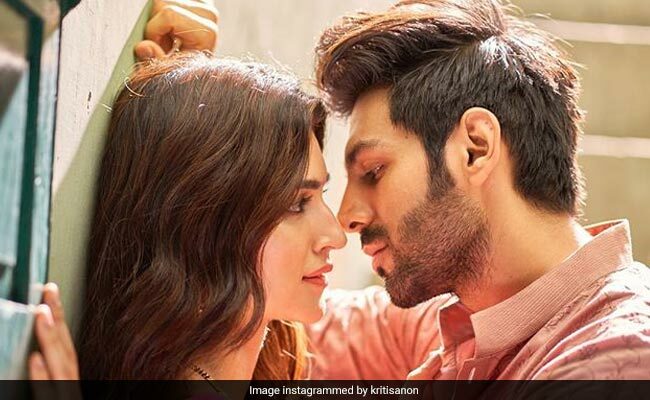 Kartik Aaryan features as a TV reporter while Kriti Sanon plays a strong-willed woman, who completes her education in Delhi and returns to her hometown Mathura with a mission. The film has been extensively shot in Mathura and Gwalior. The film went on floors in August and the final schedule was shot in September. Kriti Sanon and Kartik Aaryan continually updated fans with photos and videos from their shooting schedule. Take a look at some of the photos shared by the actors on their respective Instagram timeline. Kriti Sanon was last seen in the critically-acclaimed film Bareilly Ki Barfi and appeared in a special song sequence in Stree recently. Kriti Sanon has Arjun Patiala, Panipat and Housefull 4 in the pipeline. For Kartik Aaryan, it has been a good year so far. Kartik started 2018 with blockbuster film Sonu Ke Titu Ki Sweety and has reportedly been approached with the third installment of Pyar Ka Panchnama and Sanjay Leela Bhansali's untitled next.